Sorry, the Growth Voucher scheme has now ended. However please don't hesitate to get in touch and we can see what we can do to help if you're on a budget. 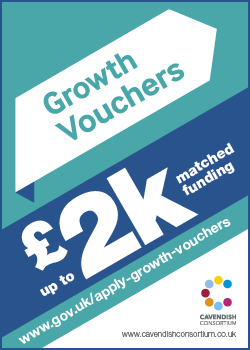 Some businesses will be randomly chosen to get a voucher of up to £2,000. It's not guaranteed that you will receive a voucher, but most applications are successful. If you would like help applying, please get in touch, or alternatively go straight to the application form using the button below. You can read the full terms and conditions on the gov.uk website. This information was correct as of February 2015.